Google may be world’s most popular search engine, but things are a little different in China. Only 16% of Chinese internet users rely on Google for search – the rest use Baidu. 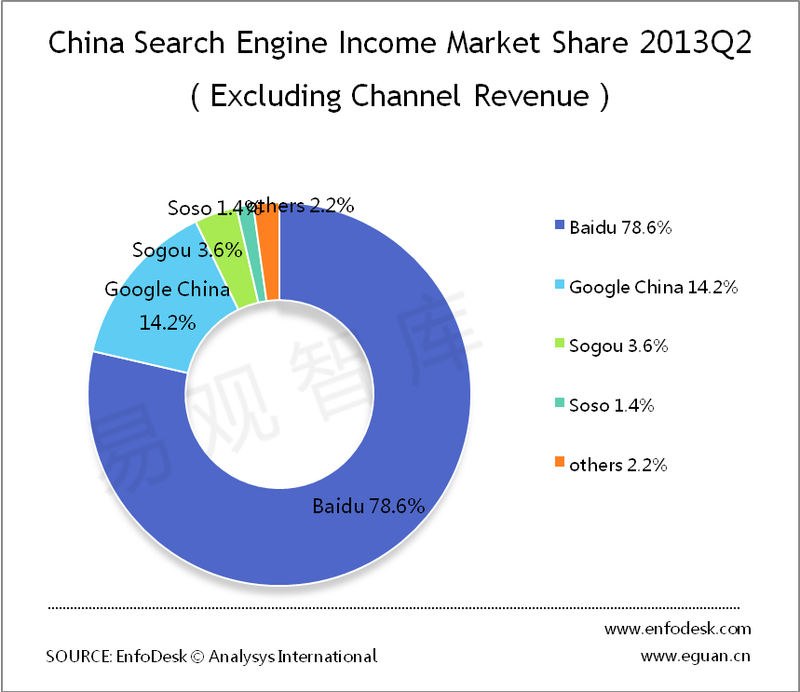 In the first quarter of 2013, China’s search engine market generated 9.38 billion Yuan (about 1.52 USD) in revenue. Baidu accounted for 78.6% of market shares, while Google China trailed behind it with only 14.2%. 1. Local Website Hosting and Domain Names: It’s easier to make a website more visible on Baidu if it uses Chinese web hosting and has a local domain (.com.cn, or .cn). Local hosting will also help improve a website’s loading speed for Chinese users. 2. Use Simplified Chinese: It’s obviously easier to get your website ranking on a Chinese-language search engine if your content and URLs are in Chinese. Translating an English website and its keywords to Simplified Chinese is a crucial step if you want higher rankings and better visibility on Baidu. 3. Know Which SEO Attributes Baidu Focuses on: Google and Baidu look at the same attributes when analyzing and ranking web pages, but the priorities are slightly different. Optimizing your metadata, heading tags, and alt tags, improving site speed, and increasing the amount of inbound links your website has is especially important when optimizing for Baidu. 4. Be More Mindful About Duplicate Content: Make sure your website contains unique content. Baidu is stricter about duplicate content issues than Google is. If duplicate on-site content is unavoidable, use robots.txt to indicate which pages shouldn’t be indexed. Baidu also started supporting the rel=”canonical” tag earlier this year, and you can use this to avoid duplicate content issues. 5. Simpler Website Structures: Baidu will not follow links to pages that are buried several levels deep in your website’s hierarchy. Use silo linking structures to categorize and organize your internal linking structure to make sure Baidu indexes all your pages. Knowing the key differences between SEO for Baidu and Google will help you build a more robust optimization strategy for Chinese audiences. With millions of Chinese users relying on Baidu for search, developing a localized online marketing strategy is a worthwhile investment.